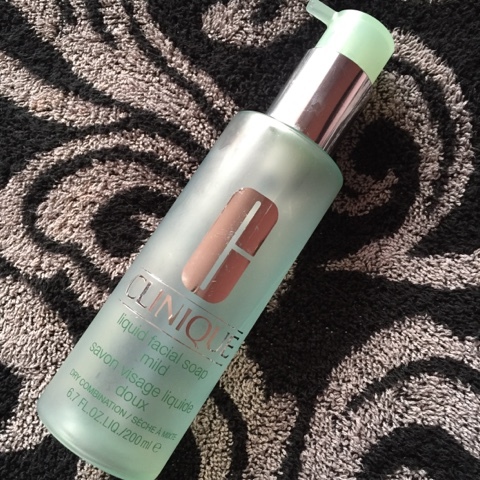 I've had the Clinique Liquid Facial Soap for what seems like forever.When I was living out I had this face wash as my spare to use when I came back home, but since moving back home I have been using this pretty much everyday. I'm very lazy when it comes to skincare as I've said a million times before, But this is the one thing I make sure I use everyday. It's a bit more pricey than your average face wash, but I'd say it's well worth it. The formula is very thick yet it still lathers up perfectly. It feels rich on the skin and you can tell your're getting a deep cleanse. It doesn't have that strong of a scent, which is nice. I will try to use this twice a day, but mostly I use it while I'm in the shower. Sometimes when I'm really lazy I use this to remove my makeup and it works pretty good for a non-makeup remover! I didn't realise that they had different versions of this facial soap for different skin types, but the description of each one is on both the Clinique website and Boots. I love this face wash and if I didn't already have a tonne of other face washes in my collection to try, I would 100% repurchases this! !